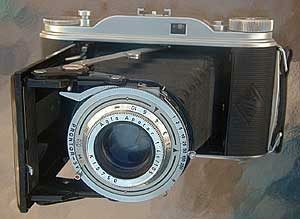 From the 1930s, Agfa had offered 6×9 folders under the Record name. The famed Record III is merely the final rendition of this basic model… all sharing the same body structure. 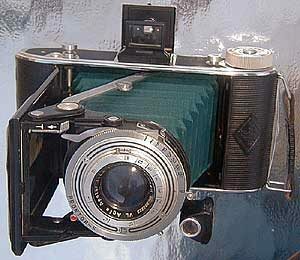 The top changed over the years and early Records (Billy Records) having the Torpedo viewfinder attached to the lens standard. 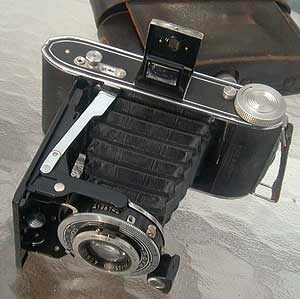 In the main, the Billy Record is a formidable 6×9 folder “in your pocket!” It is among the smallest, slimmest of 6×9 folders and often found with decent lens/shutter combinations. 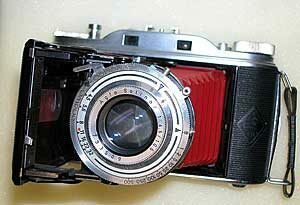 The cameras worthy of use today are the Agfa Billy Records with either Agfa Apotar, Agfa Solinar, or Schneider-Kreuznach Apotar or Radionar lenses. Shutters on these cameras include… Prontor, Prontor S, Compur, Compur-Rapid, and if you’re lucky, the Synchro-Compur (not too often!!). The camera was also produced with the Agnar lens and the Pronto shutter, but with the availability of the other varients, I’d go for them first.